Lucas Bersamin is the new Chief Justice. 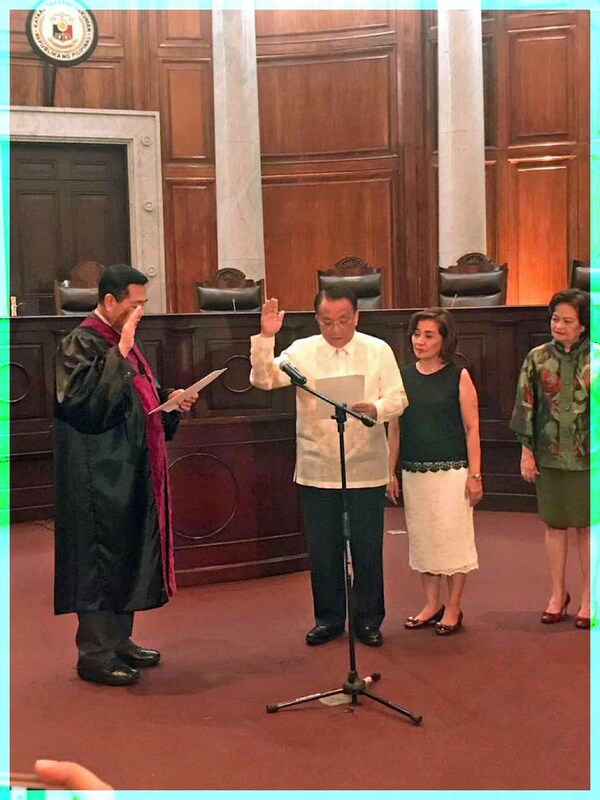 Former Supreme Court Senior Associate Justice Lucas Bersamin was appointed as the new Supreme Court Chief Justice of the Philippines. President Rodrigo R. Duterte signed Bersamin’s appointment paper on Monday (Nov. 26), but was released to the media on Wednesday (Nov. 28). Bersamin, 69, replaced Teresita Leonardo-De Castro, who retired in October after serving as chief justice for only 41 days, the shortest term in the 117-year history of the Supreme Court. He will serve as top magistrate for less than a year or until he reaches the mandatory retirement age of 70 on October 18 next year. Bersamin is presently the most senior Justice in the Supreme Court in terms of services rendered under the Judicial Branch in various capacities. While Bersamin ranked as the third most senior magistrate of the Supreme Court, he is the most senior justice in terms of service in the courts. He has had 32 years of service in the third branch of government. He served nearly 17 years as the Presiding Judge of the Quezon City Regional Trial Court, over six years as Associate Justice at the Court of Appeals, and almost 10 years as the 163rd magistrate of the Supreme Court. During his stint as a trial court judge, Bersamin became a recipient of the Chief Justice Fred Ruiz Castro Memorabilia Commission with the coveted distinction of having written the Best Decision in Civil Law and the Best Decision in Criminal Law, topping all RTC Judges in 1999. It was the only time that both awards were won by the same judge in the same year. In 2002 Bersamin won the Chief Justice Jose Abad Santos Award as Outstanding RTC Judge of that year. Bersamin was appointed by former President Gloria Macapagal-Arroyo to the Supreme Court in April 2009. Before his appointment to the SC, Bersamin served as an associate justice of the Court of Appeals from 2003. Bersamin vowed to look into the problems plaguing the Judiciary and come up measures to address them. He reminded the public that he would only have 11 months to serve his term, thus he hoped the expectations on him would not be too high. “If I raise the bar of expectations too high, I will really fall short of it given only 11 months,” Bersamin said. “The Judiciary has many problems. People know about them and it is my purpose that during my 11-month period that I will be at the helm, I will try to find out these problems and try to address them the best way the SC can. It’s not the CJ that will solve these problems, it is the SC. That how the SC works,” he added. 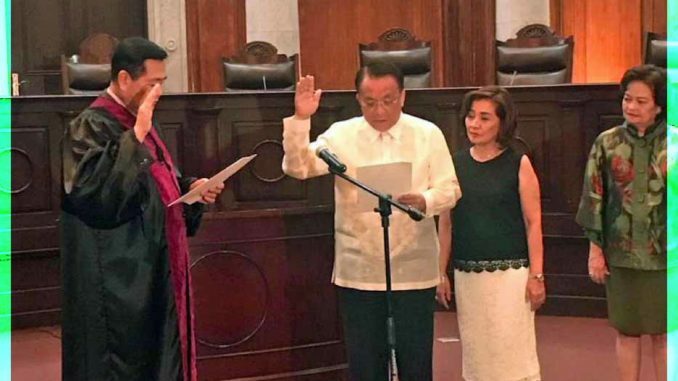 Acting SC Chief Justice Antonio Carpio administered the oath to the newly appointed SC Chief Justice Lucas Bersamin.